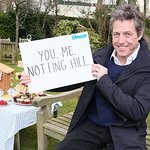 Last year, actor Hugh Grant gave his support to healthtalkonline.org, a website that offers health advice and videos of real patients telling about their experiences with particular diseases. Last summer McPherson turned to Grant, whose mother had died of pancreatic cancer, to help with the new part of the website dealing with that disease. “One of the big differences between this website and other health websites that you might find on google,” Grant said in a BBC interview, "is that this one is run by top Oxford doctors and researchers. That’s why it wins all these awards. Whereas the vast majority of these health websites you end up on when you google with hypochondria in the middle of the night, and no one knows that better than me, is they tend to be sponsored by pharmaceutical companies. They’re just not in the same league when it comes to reliability. 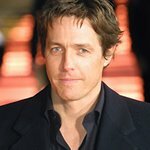 Now, McPherson is approaching Equilibrium to develop the bipolar disorder branch of healthtalkonline.org.